Oceanview 2 / 2 sleeps 5 adults. Enjoy Resort World from $1,750./ Week! Your Resort World (Bimini Bay Resort) “Angler” two bedroom two full bath spacious second floor apartment is ocean front with a beautiful view of the Atlantic Ocean, and within 100 yards of a beautiful white sandy beach and crystal clear blue & turquoise waters. The resort is extremely family friendly with safe and fun activities for your children. Watch incredible cocktail sunsets from your private balcony. Enjoy the full service marina with over 300 slips, nearby gas, bait, shops, and only a 10 minute golf cart ride to downtown many Bimini grocery stores, shops and liquor stores. *Central Air conditioned, heated, and ceiling fans. *Fully equipped kitchen with stove, oven, microwave, coffee maker, dishwasher, pots & pans, dishes, glasses and utensils. *Inside private laundry facilities include washer and dryer. Places to go, things to do...: If you prefer, you can take a 20 minute boat ride to Honeymoon Harbor and enjoy secluded white sandy beaches and hand feed the Manta Rays. Afterwards, when you return to the Resort, enjoy an afternoon in Bimini Bay's 'Infinity Edge Pool' with spectacular ocean views. Enjoy lunch at the Poolside Grill with Bahamian flavor then take a stroll down soft white sandy beaches along Paradise Point's warm Atlantic shoreline at the North end of Bimini Bay Resort. For the young ones there is the 'Beach Bums' children's recreation & entertainment center plus a Kid's Playground all in a safe environment! Have extra guests stay in the new Hilton Hotel! For Charter boat service, scuba diving, private fishing captain and Golf cart rentals, please inquire at the registration desk for availability and rates. Rates are subject to availability, check calendar. Transportation to Bimini / Bimini Bay Resort is extremely easy, relatively inexpensive, and fun! Cape Air now has seaplane flights from Watson Island directly to North Bimini, or, from Ft. Lauderdale (FLL) you will fly Silver Airlines (also known as GULFSTREAM AIR) to Bimini International Airport (BIM) which, depending on season and how far in advance you book, should be between $275.-$375. roundtrip, per person. After about a 25 minute flight, you will arrive in South Bimini where you will board an airport van to the South Bimini Ferry Dock. They charge about $5. per person and that includes passage on the water taxi which will be waiting for you to board. This taxi should cost around another $5. per person as well. The Water Taxi will take you across the channel to North Bimini where you will find taxis waiting. You will ask the taxi driver to take you to the Bimini Bay Resort/ Resort World Bimini! Born, raised and living in Miami, running over to Bimini for the weekend has just been a natural thing to do my whole life so why not own an Island Paradise Home away from home?! 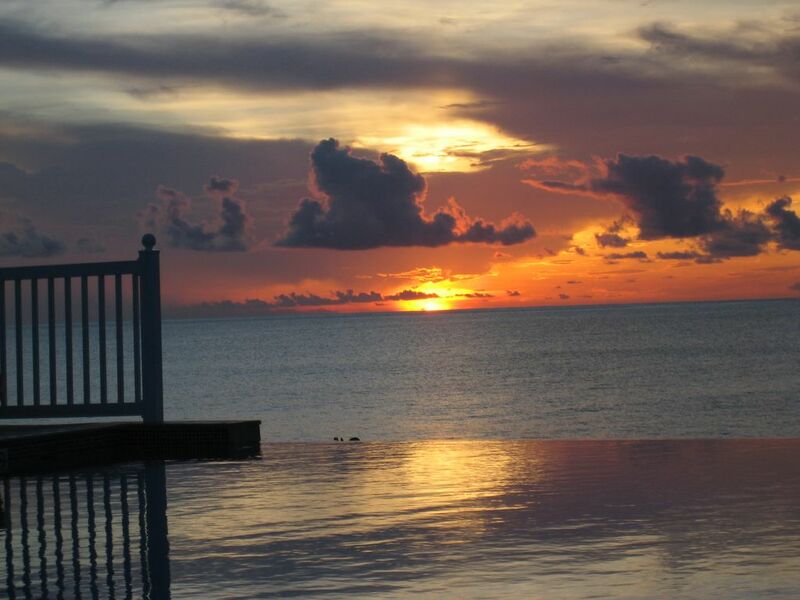 Bimini Bay Resort located in North Bimini has it all. It is clean, safe and convenient. Not to worry about the mosquitos of South Bimini, you are in a small paradise where everything is a short golf cart ride away!! Resort World Bimini has added extra stars to the Resort with the New Hilton Hotel and 24 hour Casino! 100 meters from the Atlantic Ocean and white sandy beach. Resort with Hilton Hotel and state of the art CASINO!! Facing West, watch the Sunset over the Atlantic Ocean! 100 yards from the beautiful Atlantic Ocean and white sandy beach! Plenty of off street parking for golf carts. Second floor unit, sorry, no elevators! Relax and unwind at the beautiful & exclusive Bimini Bay Resort & Marina located just 48 nautical miles east of Miami. A 20 minute flight from South Florida and less than a two hour boat ride. World known for its big game fishing and widely known as the 'Bonefishing Capital of the World.' Your “Angler” two bedroom two full bath spacious second floor apartment is ocean front with a beautiful view of the Atlantic Ocean, and within 100 yards of a beautiful white sandy beach with crystal clear blue & turquoise waters. The resort is extremely family friendly with safe and fun activities for your children. Watch incredible cocktail sunsets from your private balcony. Enjoy Bimini Bay's award winning Bahamian-infused restaurants with spectacular marina views. Enjoy shopping at boutique, pizza, grocery,full service marina with 300 slips (all on premises), nearby gas, bait, shops, and a 10 minute golfcart ride to downtown Biminis many groceries, liquor stores, shops & restaurants! Bimini known as 'The Big Game Fishing Capital of the World,' the Bimini Islands offer a variety of fishing activities including Deep Sea Fishing. The deep waters of Bimini are known for their record catches of Marlin, Sailfish, Tuna, and other game fish. The 10,000 sq. ft. Casino is usually open 24 hours serving food and drinks and a complete gaming experience including Blackjack, Roulette, Sportsbooks, Slot machines and more all incorporated into the new Hilton Hotel. Other family fun is fishing for grouper, yellowtail, and seasonal lobstering. Bimini is also widely known as the 'Bonefish Capital of the World.' Enjoy Diving and Snorkeling sites, explore 'The Lost Steps to The City of Atlantis' and one of the most popular sites, snorkel the “Sapona”, Bimini's famous sunken concrete ship wreck or explore the famous Ponce de Leon 'Fountain of Youth'! 72 hour cancellation policy due to inclement weather (tropical storms or small craft advisories) .